Cycling Holidays for Singles UK - Meet People on an Adventure! Are you a cycling enthusiast? Would you consider going on a cycling holiday alone? If the answer is yes to both, then what better place to start than at home! The UK is a wonderful place to participate in cycling tours, there is so much beautiful scenery right on our doorstep with excellent cycling routes. Now over 12,000 miles of local and long-distance routes, travelling through a wide variety of landscapes from beautiful coastal backdrops, rolling green countryside, forests, lakes and moors to rugged mountainous regions. Regardless of your ability, there are numerous different types of cycling holidays suitable for singles, from the most advanced cyclists to average riders and beginners. Aside from making new friends and sharing your common interest, cycling with a group takes the pressure away from the organisational front – the tour operator will take care of the route and accommodation, leaving you to just sit back, pedal and get to know new people. Bike Adventures is the longest established company running the famous UK end to end cycling route. This truly fantastic challenge provides the opportunity to explore the length of the UK with like-spirited companions, whilst absorbing some of the most scenic landscapes in the country. The tour begins in Land’s End on the beautiful Cornish coast before crossing the Bodmin Moor and Dartmoor, then heading up across the River Severn and into Herefordshire, on to Shropshire and into Cheshire. Further into the north, the tour avoids the urban sprawl of Manchester as much as possible, before travelling up into the Yorkshire Dales, northwards to the Eden valley before crossing Hadrian’s Wall into Scotland. Here it passes through the Southern uplands then through Glasgow following the River Clyde. From there the ride travels further north past some stunning lochs to Fort William (the foot of Ben Nevis, Britain’s highest peak) before continuing past Loch Lochy, Loch Ness and further up and over the hills into Cromarty Firth, from there all the way to the finish in John O’Groats. Different versions of this tour can be completed in different lengths of time, from 9 to 10 days for the super fit, 15 days or 21 days. 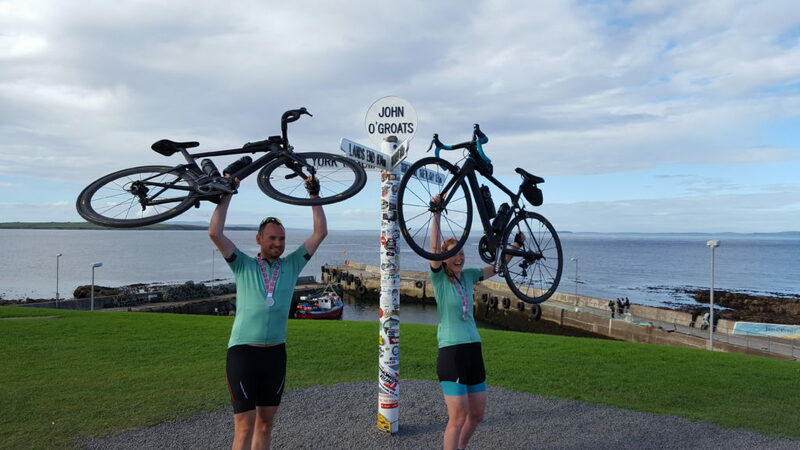 There is also the option of completing this tour in reverse, beginning at John O’Groats and ending in Land’s End. An extremely popular 3 day tour, suitable for regular riders. The adventure begins at Amersham Station, before winding through London’s beautiful green belt – a surprisingly large expanse of stunning open countryside, farmland and quiet roads sitting just outside our nation’s capital city. The trip takes riders through Surrey before crossing the Thames, by means of the Gravesend to Tibury pedestrian ferry, with the following few miles in Essex before crossing into Hertfordshire, riding through Hatsfield and St. Albans before finishing back at the starting point in Amersham. The perfect tour for first timers, a relaxing long weekend entirely on flat roads in the beautiful Suffolk and Norfolk countryside – suitable for average riders, this tour covers approximately 60 miles per day at a gentle place along quiet country roads which includes coastal routes. The tour begins and ends in Stowmarket, setting out from there to the coast and following it northwards to the seaside town of Great Yarmouth. From there, further north along the Norfolk coast to Sheringham, then turning south west towards Fakenham. The following day, the tour will head south back to the finishing point in Stowmarket. This really is the perfect tour for those wishing to combine cycling with history – the coast to castles adventure features some amazing castles, plus miles of untouched beaches along the beautiful Scottish borders. It is suitable for average riders and includes a total of four days of cycling and five nights accommodation. 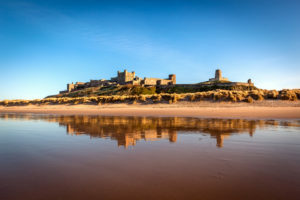 The tour begins in Edinburgh and ends in Newcastle travelling past Dalkeith, Melrose and Holy Island along the way – we also pass by a wide variety of natural and historical sites including the beautiful Bamburgh Castle and Lindisfarne. The beautiful Irish end to end takes riders on an epic adventure beginning at the Mizen peninsula around Bantry Bay and into County Kerry, home of some of Ireland’s most spectacular scenery – including rolling meadows, waterfalls, glacial lakes, medieval ruins, stunning coastal scenery, heather capped hills, rugged mountains and ancient ruins. The tour passes by the stunning mountains of Killarney National Park, the cliffs of Moher and the beautiful lakes of the upper Shannon. This journey offers varied cycling from average to challenging, and provides a slightly easier alternative to the UK end to end. 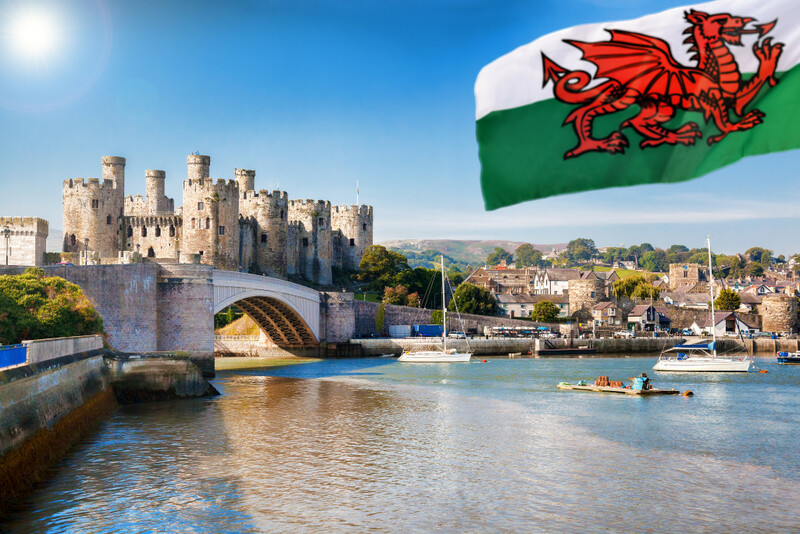 The Welsh end to end includes four days of cycling across some spectacular scenery – the tour sets off from Cardiff in South Wales travelling through the Brecon Beacons, Cardigan Bay and Snowdonia National Park before reaching the final destination of Conway Castle in North Wales. Whilst daily mileage is low, this tour includes some steep climbs well rewarded by stunning, far reaching views. This is a relaxing tour completed at a leisurely pace, taking riders 170 miles (270km) from coast to coast! Beginning at Morecambe in Lancashire and ending in Bridlington, Yorkshire. 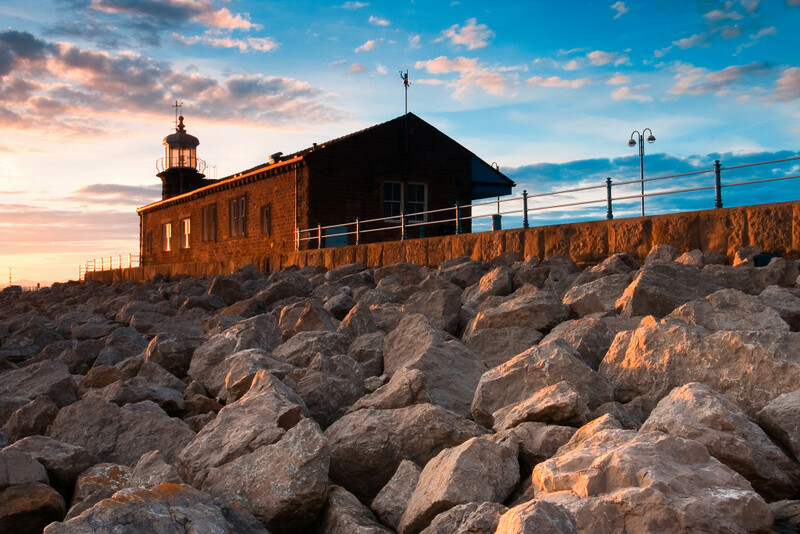 This fully supported 5 day trip travels through a wonderful variety of landscape following the River Lune and the River Wenning into the Pennines before crossing the beautiful Yorkshire Dales National Park, from there to the City of York and into Bridlington to the finish. A fantastic week-long cycling holiday across the UK at its widest point, this tour offers a wide variety of scenery and passes through numerous historical towns and villages, with plenty of food and refreshment stops along the way, providing time to get to know other members of the team. The tour sets out from the coastal resort of Lowestoft on the Norfolk coast, heading through the lakes and canals of the Norfolk Broads before cycling into the fenland of Lincolnshire and Cambridgeshire. 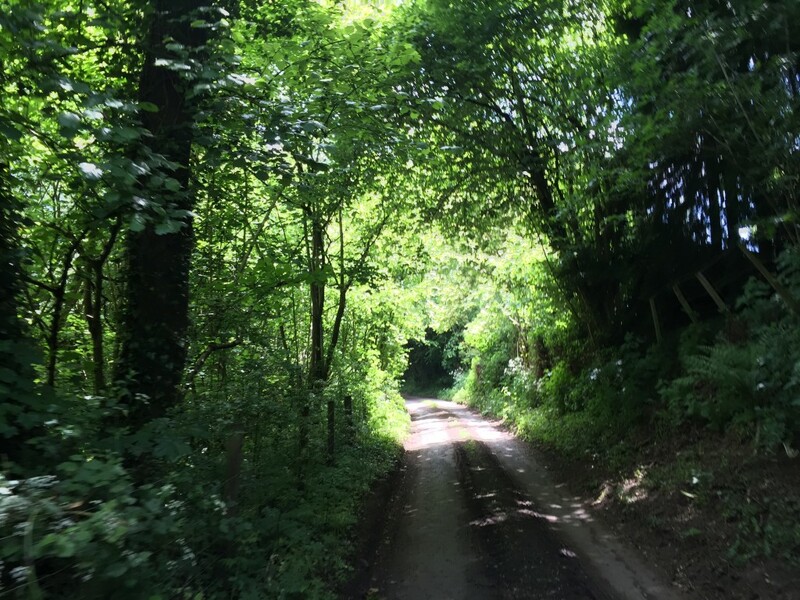 The route then continues across the beautiful countryside of central England before heading over the northern Cotswold Hills and the into the peaceful country lanes of Shropshire and over into Wales. The scenery in Wales is spectacular, heading through Llandrindod Wells, across the stunning Cambrian Mountains and along the Pembrokeshire coast to the finish at St David’s Head on the Welsh coast. Our guided cycling holidays provide a fantastic way for avid cyclists to enjoy the great outdoors and share their experience with a group of fellow cycling enthusiasts. In addition to our UK Cycling holidays, we also offer a range of other holidays further afield. Contact Bike Adventures for more information. More adventurous? We offer cycling holidays in other exciting destinations around the world.